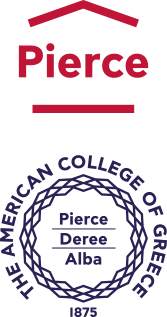 The American College of Greece | Deree and Let’s Do It Greece Together for the Beach Clean-up Action! Home » News & Events » News » Deree and Let’s Do It Greece Together for the Beach Clean-up Action! Deree and Let’s Do It Greece Together for the Beach Clean-up Action! 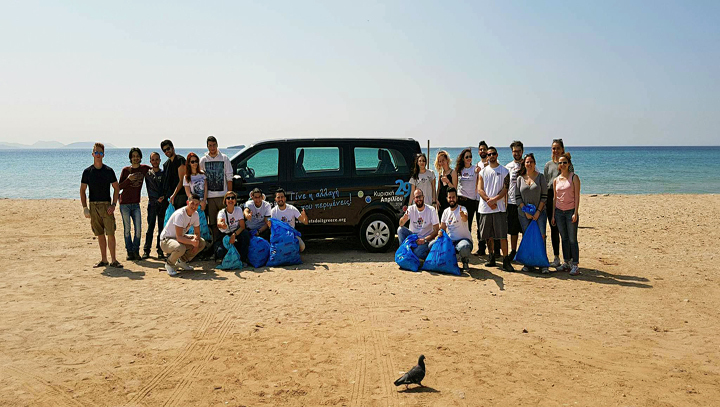 On Friday, April 20, volunteers from The American College of Greece, and members of the non-profit organization Let’s Do It Greece, gathered for the Varkiza beach clean-up action. The action was organized by the Environmental Studies (ES) Society in collaboration with Let’s Do It Greece within the framework of the Let’s do it Greece Panhellenic Campaign 2018 which aims to bring together over 150,000 volunteers across Greece. The action was also supported by the ACG – Centre of Excellence for Sustainability (CES) at the Office of Public Affairs and the Environmental Studies Program. President of the Environmental Studies Society, Pinelopi Savvidou, says that “it was a great start for our Environmental Studies Society to start an active collaboration with Let’s Do It Greece in volunteering actions”. All volunteers did an amazing job and managed to gather nine bags of waste in total. Two bags filled with recyclable materials, one with plastic beverage bottle caps, -which ACG is actively collecting for the past few years in order to support various community contribution initiatives -, and six bags of mixed waste. This action was an immersive experience for many as they witnessed how invasive beach pollution has become and the role we can play, both individually and collectively, in better protecting our environment. Nephele Cauchi, Vice-President of the Environmnetal Studies Society says that “this experience gave us an insight into beach pollution and gave me the ambition to become more active in ACG future volunteer actions”. Being part of an officially organized clean-up action is not the only way we can contribute to protecting our environment. We can all contribute to making our beaches and seas cleaner little by little. Organize your own mini beach clean-up every time you visit the beach by picking up five pieces of plastic or other types of waste! The cumulative effect of these small actions can have a big impact on the well-being of our planet!